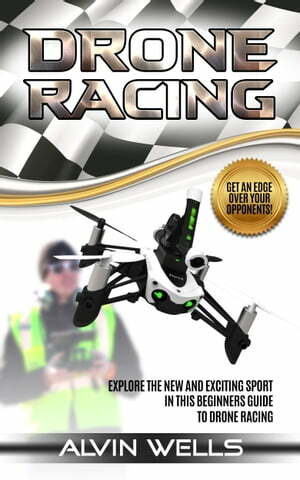 Collins Booksellers - Drone Racing: Explore the new and exciting sport in this beginners guide to drone racing. Get an edge over your opponents! by Alvin Wells, 1230002240251. Buy this book online. Is Drone racing a thing - YES. Is it getting more popular - YES. Don't wait too long to join this awesome new sport. Remembering back when I was a kid I always loved to fly model airplanes. I would remember going to the store with my grandfather and looking at all of the model kits that lined the shelves. As we stood there gazing at all of the World War II planes, new space ships and other creative options I would just stand there imagining what it would be like as soon as I had completed the project and I was able to fly it. The days of model airplanes and even remote control planes have fallen to the wayside with the innovation of the Internet, computer games and even virtual reality systems. The good old days of going outside and playing with something that we have created or put together ourselves is long since passed. Or is it? In this book we are going to dive into the world of drones and the new Internet craze known as drone racing. We are going to break down the world of drones, tell you how you can get them, build them like we did back in the day with model airplanes and even get into the fledgling sport of drone racing.